Well established dental ceramic studio. 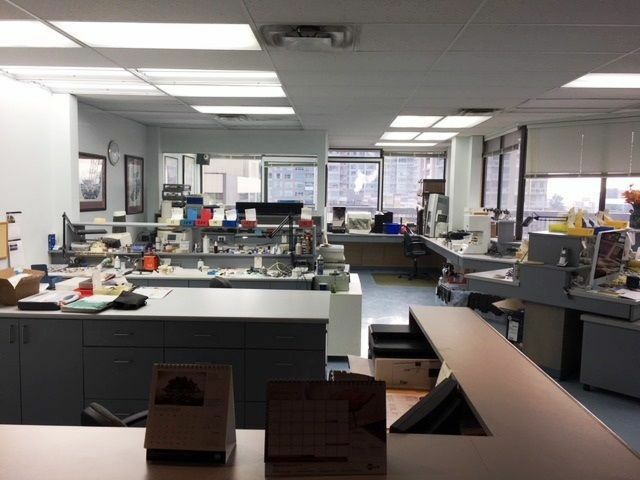 Asset sale includes all laboratory stations, fixtures, air system, dust collection system and all fixed leasehold improvements. Lease area approx. 1,204 sq ft includes reception area, lunch area, plaster room, mechanical room, work stations with fantastic view! Ideal for growing dental lab that requires larger space move-in ready. Assumable lease till July 2021 with 5 year option. 7 workstation space for approx. 12 technicians. Equipment not included in asking price. PRIME LOCATION WITH HUGE POTENTIAL.